The Facebook Ad platform has matured. Getting online traffic is the lifeblood of digital marketing campaigns. The more targeted online users you can drive to your website and landing pages, the better your odds of increasing online leads and sales conversions. 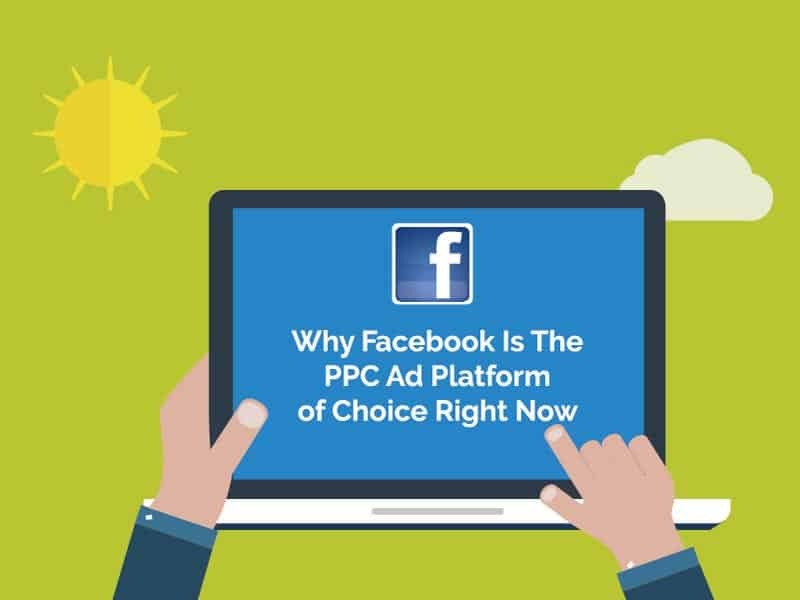 Right at this moment, Facebook is the PPC (pay per click) ad platform of choice for digital marketers. No longer is the social media network just about likes and comments. Instead, Facebook is an important paid traffic platform to reach out to targeted consumers to sell products and services. Here, we outline some of the key reasons your businesses needs to be advertising on Facebook. If anything, the sheer size of Facebook’s user base makes it the de facto social media network of our times. Based on latest figures, Facebook has more than 1.5 billion users each month, and more than a billion accessing the social media platform each day. Furthermore, people are also spending more time on Facebook. Based on industry research, Facebook users worldwide spend an average of 20 minutes per day on the social media network. With Facebook users in the US spending even more time on the network than the global average, we can see that there is considerably more room for Facebook to further grow its user base. After learning its lessons and adopting a mobile first strategy a few years ago, Facebook has risen to become the dominant player in the mobile ad landscape. From its 2015 fourth quarter results, we know that mobile now makes up a huge 80 per cent of Facebook’s advertising revenue. The number of mobile-only Facebook users also increased to a staggering 827 million. In addition, Facebook is also upending the online video landscape and emerging as a serious competitor to YouTube’s dominance. Currently, the social media giant is seeing somme 100 million hours of daily video watch time, underlining its importance as a medium for sharing video content. With Facebook ad costs still largely affordable at the moment, one of the most attractive aspects of its ad platform is that it allows digital marketers to scale online traffic in a fairly predictable manner. Whether its amplifying the reach of your marketing content or driving targeted users to your website and sales landing pages, Facebook ads can be highly effective in delivering you the right audiences for your campaign objective. Facebook knows a lot about its users. What this translates to for advertisers, is an incredible wealth of audience targeting options. Besides the usual filters such as location, demographics, interests and occupations, there are way more advanced options, that can help digital marketers zero in on their audiences with laser precision. One particularly powerful targeting option is the Facebook Custom Audience, which allows online advertisers to build a list of Facebook users from website visitors, email addresses and mobile numbers. For example, if your business has a loyalty card emailing list, you could upload the list to create a Facebook custom audience and target them with a Facebook ad for a member’s offer. If you’re looking to expand an existing Facebook custom audience you have, there’s also the option of Lookalike Audiences. Selecting this option means Facebook will help you find another set of audiences that has similar characteristics to the Custom Audience you have now. Lastly, for Facebook users who are visiting your website, you can drop a small piece of code on their browsers, which will allow Facebook to retarget them with ads. This is especially useful for ecommerce businesses since statistics show that 98 per cent of website visitors do not convert on their first online visit. Part of Facebook’s increasing attractiveness to digital marketers is the wide range of innovative ad formats it has introduced in the last two or three years. Today, there is a wide array of ad formats for advertisers to deploy depending on their campaign objectives, audience characteristics and advertising content. The main ad formats we’re using more at the moment are Facebook link ads, carousel ads (these showcase multiple ad images and links in a single ad unit) and video ads. During campaigns, we further segment them according to desktop, mobile and Instagram platforms to determine the best ROI for our marketing purposes. Even now, Facebook is continuing with new and innovative ad products. In recent weeks, it has just introduced Facebook Canvas (which lets brands create immersive landing page experiences within the Facebook app) and Facebook Lead Ads (which allow advertisers to collect email addresses and mobile numbers directly from within the ad unit itself). With the powerful new features that Facebook has rolled out in the last few years, there’s simply no reason why you should be ignoring them as a way to help grow your sales and business. If you’re interested to learn how Facebook ads can be customised to fit your business needs, get in touch with myself at donald@www.impactbc.com.sg.